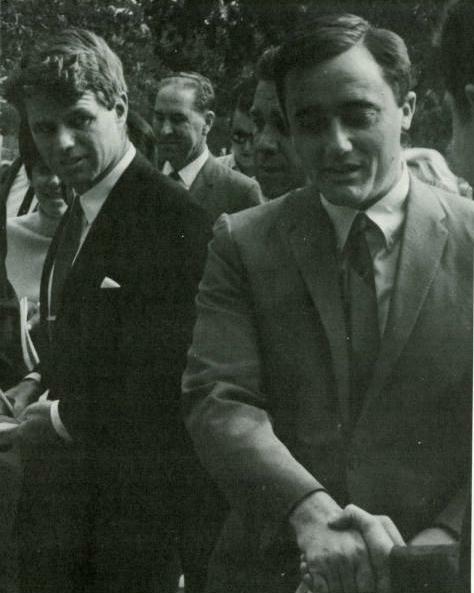 Robert F. Kennedy and Robert Vaughn in 1968. And — In some parallel universe, Robert Vaughn may well be in his EIGTH term, as the Senator from California (or a veteran of an even higher office)? Just imagine, with help from James H. Burns’ profile of Robert Vaughn — “The Man From U.N.C.L.E. – The Long Island Affair”. Vaughn had actually been on the South Shore only nine months earlier, in Valley Stream, when his U.N.C.L.E. co-star, McCallum, got married to model and actress Katherine Carpenter from Cedarhurst. The couple had met in 1965, when the U.N.C.L.E. stars participated in a photo shoot for Glamour magazine. 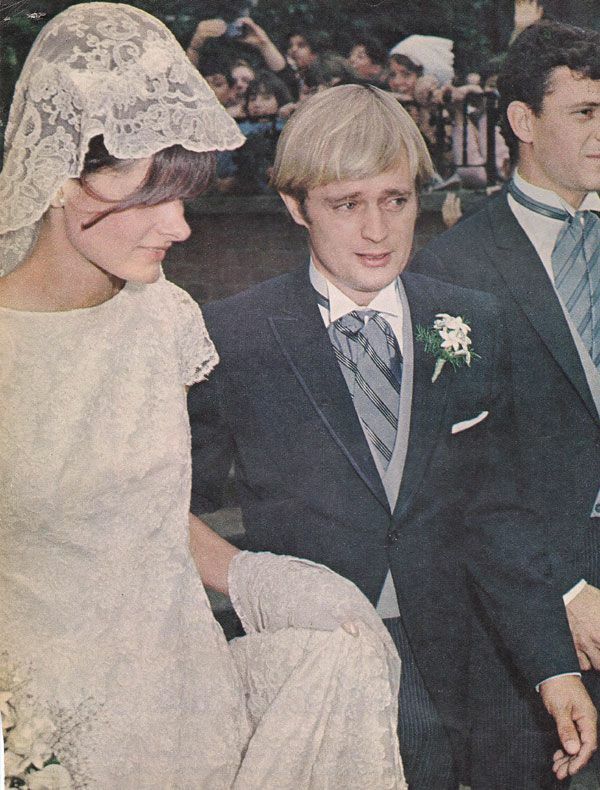 News of the nuptials was attempted to be kept quiet but by the afternoon of September 16, 1967, at the Lutheran Church of Our Saviour, an estimated 2000 kids (and some of their parents!) filled the sidewalks at at the corner of Rockaway and Dubious Avenues in Valley Stream. Katherine Carpenter and David McCallum. This entry was posted in Like Show Business and tagged David McCallum, James H. Burns, Robert Vaughn, The Man From U.N.C.L.E. by Mike Glyer. Bookmark the permalink. Well, in our universe Illya Kuryakin defected, got his MD license approved (you didn’t know he was a doctor in Russia, now, did you? ), had his name changed and was given a government job. And I’m sticking to that story. My biggest grumble with the new U.N.C.L.E. film was the notable lack of bangs on Illya. I really watched for them, too! I knew Robert Vaughn was a friend of Kennedy’s, but not the local politics thing. David McCallum is still pretty damn cute. Not sure the movie guy will age that well. David McCallum may be cute, but he’s no Charles Bronson. Happily, later this month, the McCallums will have been married forty-eight years!